In partnership with Hult International Business School, Dilip Maher and his team attended Hult’s Careers Connection Day. Dilip manages MENA Resourcing, a leading project based recruitment business in the middle east powered by Mackenzie Jones. Having met with over 50 BA and MBA graduates across specialisms such as IT, Finance, Medical & Pharma, Oil & Gas, and many more, the feedback and success of the event was echoed by all. 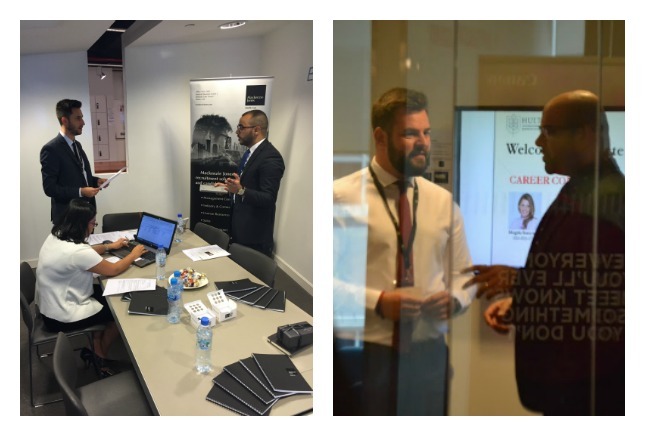 Attended by over 100 students, the team were able to provide career guidance, information on current opportunities, and key projects managed by the MENA Resourcing team. Based in Dubai since 2006, Mackenzie Jones have been helping companies and individuals undergo transformations. We help companies attract the right talent, enabling them to transform their business results, their culture and their reputations whilst helping individuals find the right companies, enabling them to transform their careers. If you are looking to take your career further, or are looking for people who can take your business further please contact Dilip Maher and the Mackenzie Jones teams for career advice.